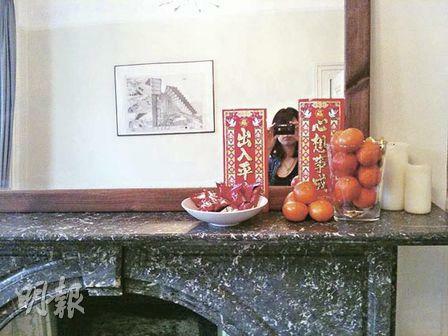 Emma followed the tradition of filling the house with fruit and chocolate during Chinese New Year. 【明報專訊】This year, in the absence of our parents, my sister and I spent New Year's Day at my flat. Since it was also Valentine's Day, my boyfriend and I had invited all the couples we knew for an anti-Valentine's knees-up (派對), which soon merged into a Year of the Tiger dim sum party.